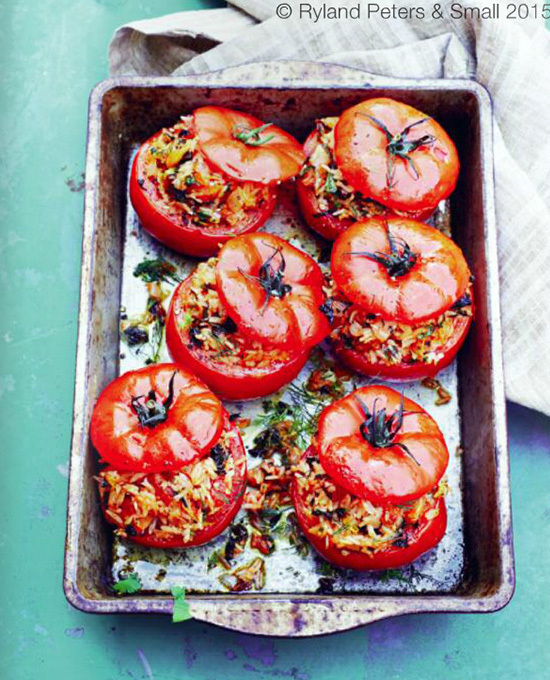 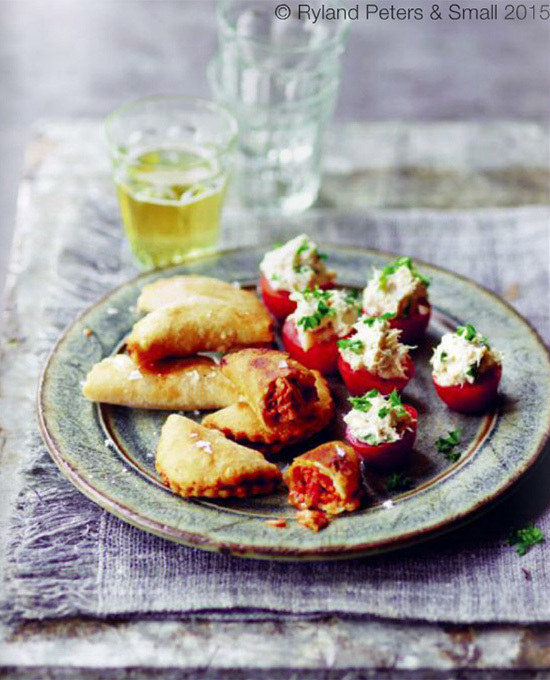 In this beautiful and exciting book, food writer Jenny Linford shares more than 75 deliciously different ways to prepare, eat and enjoy the humble tomato in all its glorious variety. 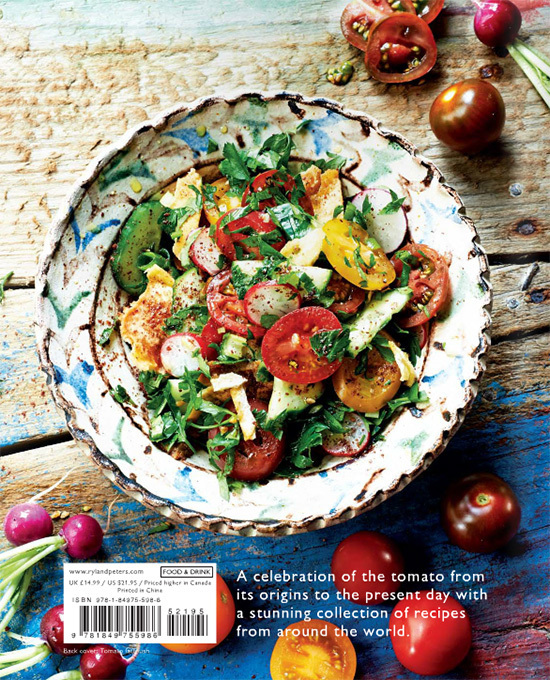 With stunning photography by Peter Cassidy tempting you to try every recipe, delectable dishes with flavors from all over the globe, and seven feature spreads for you to explore and discover more about this fascinating ingredient, The Tomato Basket is the perfect go-to book for tomato lovers and home cooks everywhere. 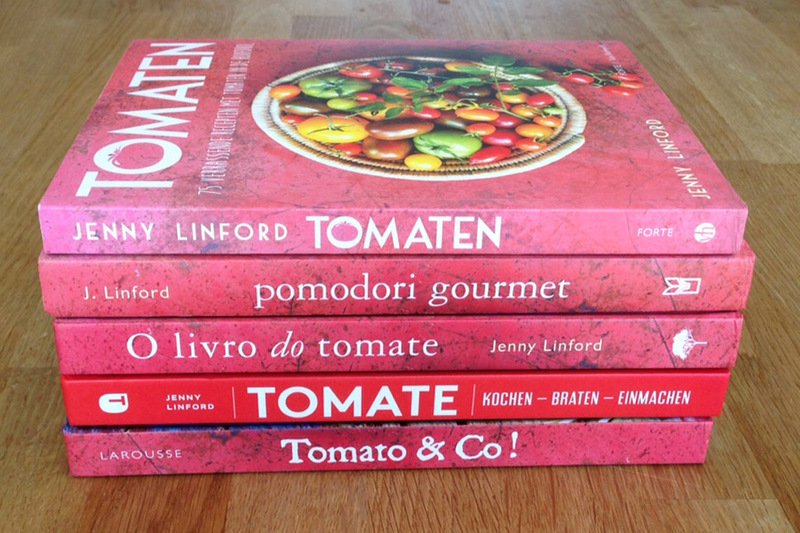 Very pleased that The Tomato Basket is being published in a number of foreign language co-editions: Dutch, French, German, Italian, Portuguese. 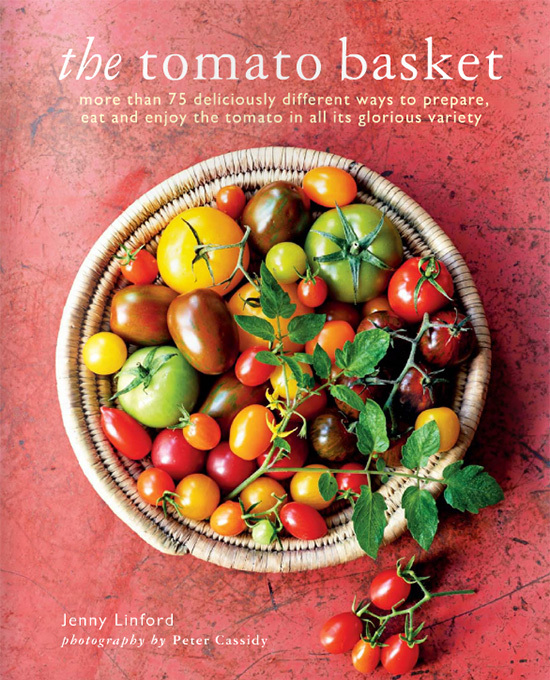 You can never have enough tomatoes, which is lucky for Jenny Linford, since The Tomato Basket is one in a fairly long line of cookbooks devoted to Solanum lycopersicum. 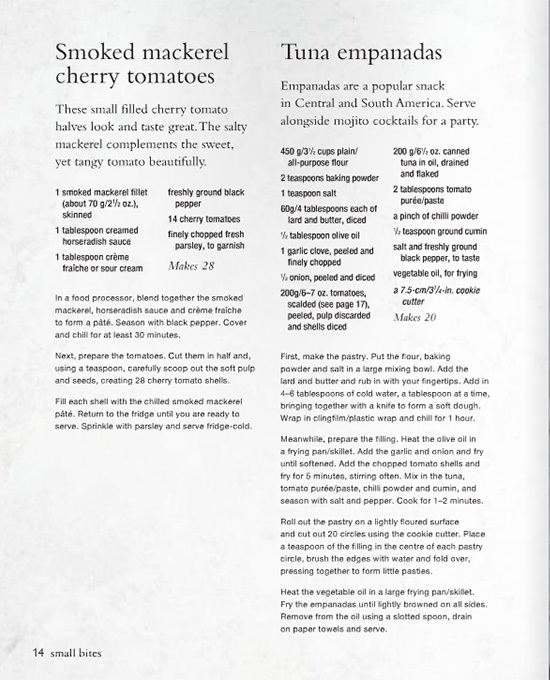 As any fule kno, the tomato is a fruit (historically thought to be an aphrodisiac) that is almost exclusively treated as a vegetable. 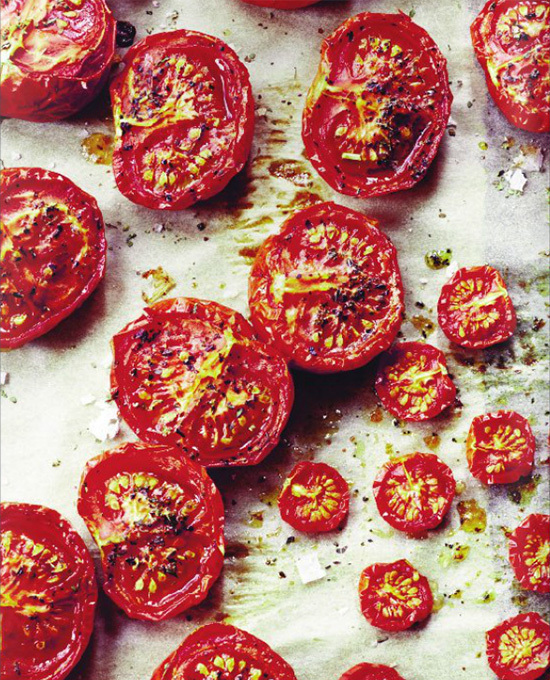 Italy is the place to be if you want wonderful tomatoes, but the UK is catching up – and Linford’s accessible book can only help. 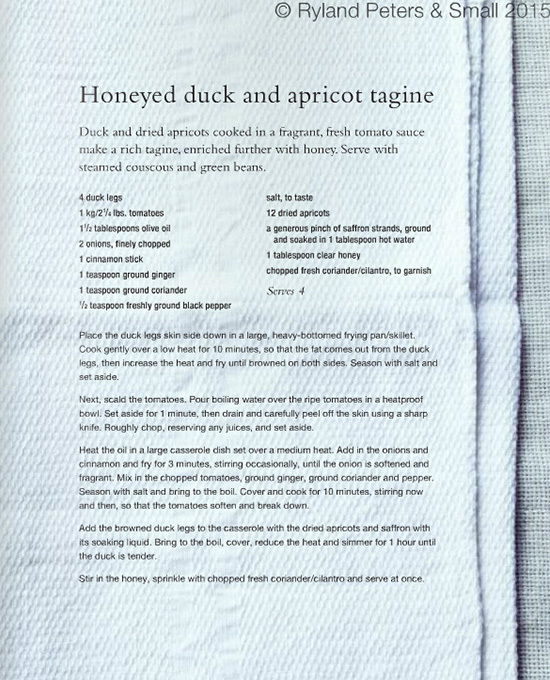 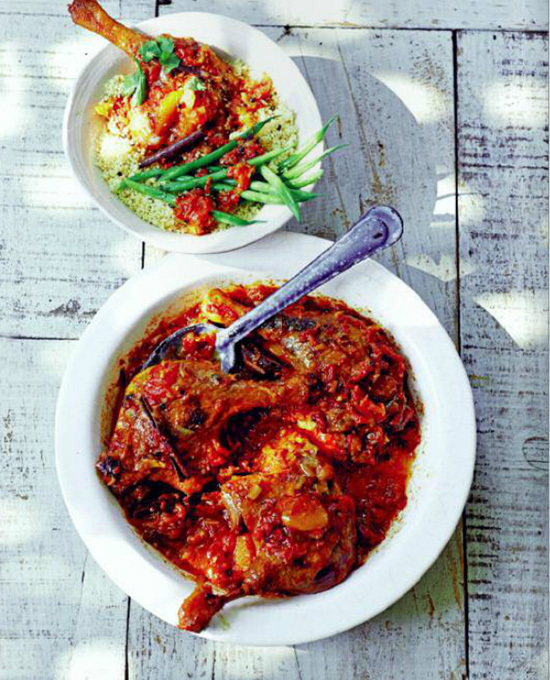 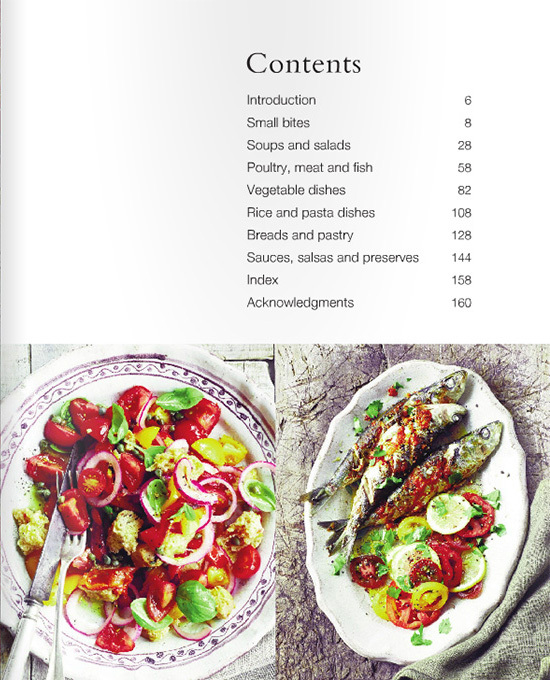 She has included 70 recipes, ranging from Thai gazpacho to polenta puttanesca. 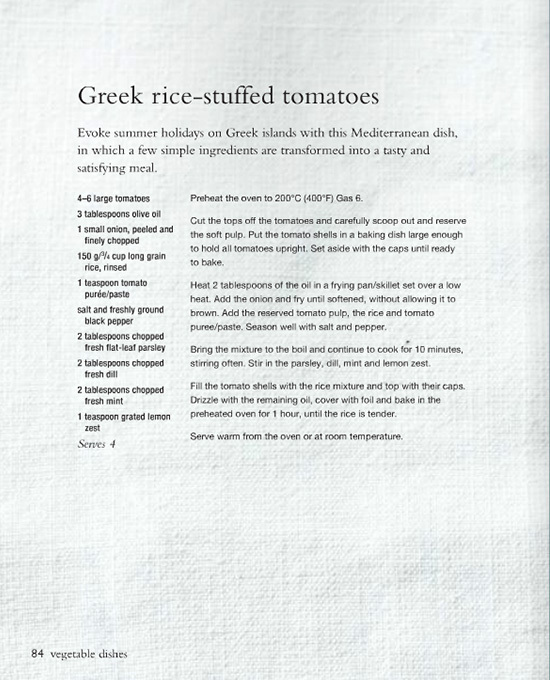 Tomatoes in crème fraîche is good with roast lamb.